Pantomime fans in Burgess Hill will be pleased to hear that there will still be a panto this Christmas following the closure of Martlets Hall. 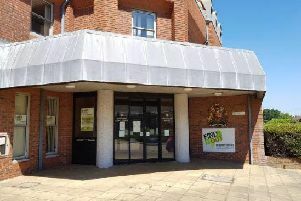 Burgess Hill Theatre Club performed at the hall for many years but had to find a new venue this year after the hall closed its doors on June 30, to allow for the redevelopment of the town centre. The theatre club will now be staging Robin Hood and Babes in the Wood at the Croft Theatre at Burgess Hill Girls school this December. Rosalind Wood, Burgess Hill Theatre Club chairman, said: “Things will be a bit different this year and we have had to bring the show forward to December to fit in with the school’s Christmas closure period. “It will be a good pre-Christmas treat for children and of course for adults who like a bit of fun. “We are delighted that Burgess Hill Girls school has been able to help us continue our long tradition of pantomimes in the club. “This will be our 54th pantomime and it will be an updated version of the original excellent June college script. The pantomime will be showing at the school in Keymer Road on Saturday, December 15, at 2pm and 6.30pm; Sunday, December 16, at 12 noon and 4.30pm; Thursday, December 20, and Friday, December 21, at 7.30pm and Saturday, December 22, at 2pm and 6.30pm. Rehearsals for the pantomime begin on September 28, and the cast will be about same in number as usual, a spokesman for the theatre club said. They added: “One thing the cast will have to adjust to is performing at floor level as the hall has no raised stage but the raked seating gives a good view of the show. There is parking at the school, and raked seating in the hall, with limited accommodation for people using wheelchairs. Developer NewRiver REIT did not include a replacement for Martlets Hall, which it did not deem viable. However, councillors have since agreed on a replacement venue to be built on the footprint of the Royal British Legion Building in Cyprus Road and are seeking a £3million loan from the Public Work Loans Board to help pay for it.